Hi there! 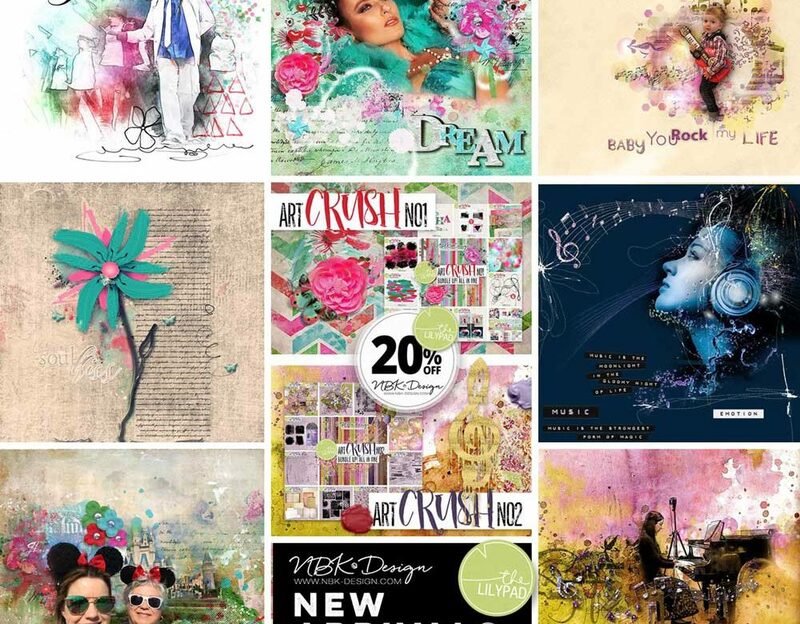 CTM Anne/aka Oldenmeade here, with the news that NBK Design’s artCrush 1 & artCrush 2 have just been released at The Lilypad. 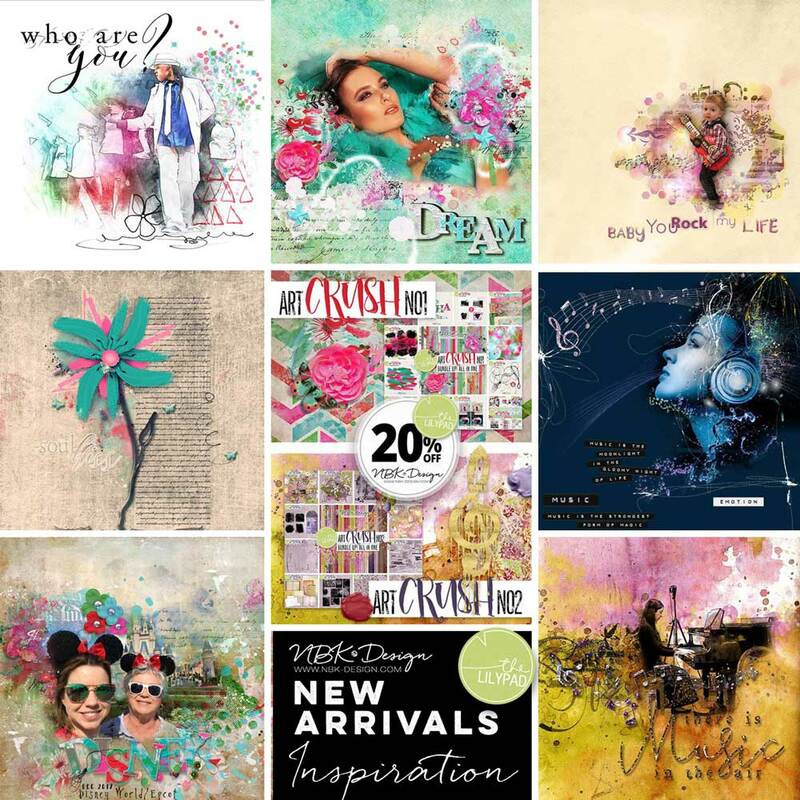 Below are just a few of the layouts the Creative Team have made with these incredible collections. They’re available at 20% discount for a few days, before returning to full price. You can see this page and other pages made with these collections in the NBK Design gallery at The Lilypad. Be sure to check out the gallery for more inspiration with NBK’s other collections as well. And for exclusive benefits, tips and tutorials, come and join us at the Artology Studio. To view the collections in more detail, you can watch the Unpacking Videos at the NBK Design Youtube channel.